As Valentine’s Day approaches, many people are planning a marriage proposal! Since I work with a lot of dog lovers, I thought I would share some cute proposal ideas that incorporate your dog. 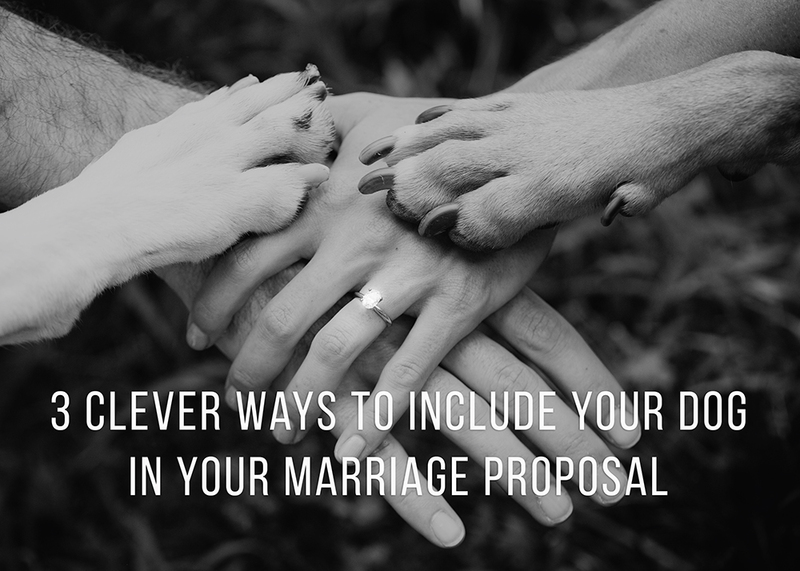 Dogs are like family for most people and including your dog is a great way to make the proposal that much more special and unique. This would be great for anyone who wants to take a walk to a scenic area before proposing. The collar is subtle enough that your loved one would probably not notice it until you mentioned the new collar. If you are worried about that, you could always get a custom dog tag with “Will You Marry Me” engraved into it, which would be less noticable. 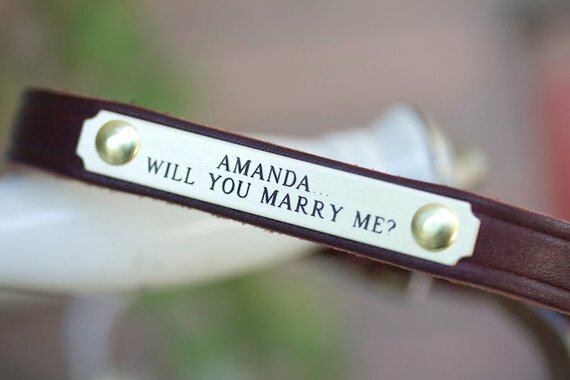 Another cool way of incorporating your dog’s tag into your proposal is to get a new one made with both of your names and numbers on the tag. If you have already discussed whether or not your partner is going to change their name, you could even put their future married name on the tag. 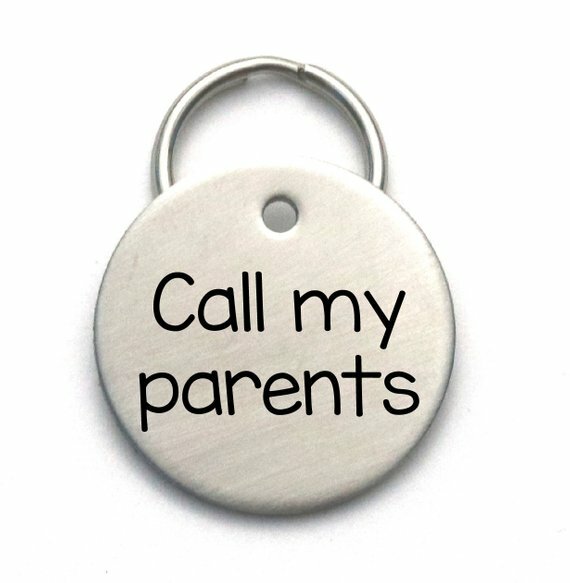 You could present the tag right after the ring or just have it around your dog’s neck to show your partner after the proposal. Make a sign for your sweetie asking them to take your dog for a walk and follow a trail of treats that you have set up ahead of time. The treats will lead them to you and your proposal spot. This is a great idea if you have a beautiful backyard or perhaps a hiking trail close to your house.